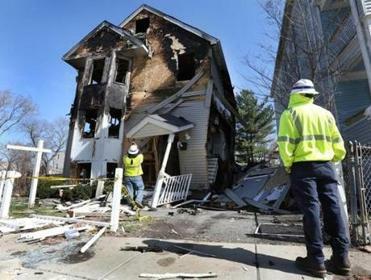 Check out this FRONT PAGE Globe article on gas leaks, which includes this photo of last year’s gas leak explosion in Dorchester – it blew the house off its foundation and displaced 11 people. WBUR also covered the story, and it went national. Clean Water Action put up a great statement on the article that connects gas leaks to new pipelines and ratepayer subsidies – please spread it around. Also in the news: BostonCAN’s coordinator Becca Tumposky highlighted climate justice and gas leaks in a live discussion with Kelly Bates on NECN’s Broadside. And if you want to see the full impact of natural gas on our climate, here’s an hour-long video by two experts (Profs. Bob Howarth and Tony Ingraffea) that reviews the latest science, proposed policies, and socio-political discourse on Methane, the Bridge to Nowhere.